The survey was conducted in the two categories of unprompted and prompted. In the unprompted category, the interview subjects were required to come up with top 10 brands they most admired in order of preference. After a thorough scrutiny and collation of the subjects' preferences, it was discovered that Globacom was mentioned and ranked in the fourth position on a list of the most admired African brands. In the prompted category, the interview subjects were given a list of African brands to rank in order of preference. Globacom was placed fifth in this category. The report stated that there was consistency among the companies that featured in the survey with 60 per cent of the top brands being present in both the unprompted and prompted surveys. The brands include, Globacom, Dangote, Shoprite, Safaricom and Tusker of Kenya and Ethiopia's Anbessa. Brand Africa partners, GeoPoll, a leading research firm in emerging markets, with analysis and insights by Kantar TNS, the world's largest insight information research firm, and Brand Leadership, Africa's premier branding advisory firm, conducted the study. Apart from Globacom, other African brands that made the Top 25 in the survey are Jumia and UBA of Nigeria, MTN, DSTV, Tiger Brands and Amarula of South Africa, Econet and Kwese of Zimbabwe, Ankara Clothing of Ghana, Tusker of Kenya, Africell of Gambia and Ecobank of Togo. Among foreign brands, Nike of the United States of America (USA) is the Most Admired brand in Africa, while Samsung and Adidas of Germany, Coca-Cola and Apple featured among the top 25. In the 2011 edition of the survey, only Globacom and three other African brands made it into the top 20 list of the most admired brands in Africa. The telco made it to the 10th position in that edition. Again, the company and another African brand broke into the exclusive list of 20 most admired brands in Africa in next survey conducted in 2014. Glo moved up to the sixth position. No other African brand could make it to the top 20. Since the company introduced per second billing in Nigeria in 2003, blowing the minds of telecom consumers who had been unable to get the same deal out of the then pre-existing telecom operators, Globacom has pioneered a long strings of other innovations. 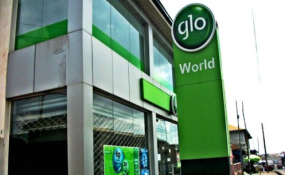 Globacom crashed the cost of GSM SIM and tariff from N20,000 and N50 per minute respectively to as low as N200 and 5 kobo per second, making it possible for an overwhelming number of Nigerians to afford telecommunications services. In continuation of its winning streak, the company also pioneered Blackberry service, vehicle tracking service, mobile internet, mobile banking, multimedia messaging service (MMS), in-flight roaming services, voice SMS, Magic Plus and Text2email, among others. These are some of the innovations that have given the Globacom brand top of mind awareness on the continent over the years. The company's extensive optical fibre network, powered by a managed IP MPLS network, covers the farthest parts of the country, giving businesses in over 130 cities low latency, faster connectivity and expanded bandwidth to carry voice, video and data reliably. For this alone, many corporate customers who have had to use the services of the company to link their branches or link up via optical fibre cannot help gushing to their associates about the innovative services the Telco provides. It has also won immense admiration across Africa on account of its wholly owned submarine cable, Glo-1, linking Europe and America to West Africa. It is the only telecom operator with such a wholly-owned submarine cable on the African continent. The cable ensures the availability of bandwidth to enterprise customers in West Africa. Glo-1 delivers a much faster and robust connectivity for voice, data and video. It unleashes limitless opportunities for corporate bodies in Nigeria and West Africa. It has also won massive accolades for its wide range of data connectivity solutions ranging from simple mobile broadband products to complex managed networking IT solutions. The company delivers the connectivity needs of large wholesale carriers and medium to large businesses in Nigeria and West Africa. Its most recent innovations include, a nationwide launch of 4G-LTE network in Nigeria in 2016 and the laying of Glo 2, the first submarine cable in Nigeria to terminate outside Lagos. The latter development will bring huge relief to corporates and individuals who need internet bandwidth outside of Lagos, especially the oil platforms and under-served communities in the southern parts of Nigeria. In addition to the foregoing, the company has a long history of customer appreciation schemes and promotions with some of the most incredible benefits and very low entry thresholds to ensure wide participation. Globacom's regular promotions, sometimes with eye-popping rewards have kept consumers excited over the years. It is a winning strategy that the company has used to great effect. For a company that is entirely African in origin, Globacom has done exceedingly well for itself, Nigeria and indeed the continent.